developed a new approach to biographical research. Vast online archives and databases provided a digital treasure trove of local newspapers in the obscure towns where Wilde had lectured that was unavailable to previous life-writers. Her innovative approach and exploration of unsuspected territory has yielded rich results, illuminating new aspects of Wilde’s life and afterlife. Wilde, in 1882, the year of his U.S. tour. Digitized database and online newspaper archives are fairly recent conveniences, to be sure. But the material was always there for earlier biographers; it just required more time, travel, and tribulation to dig from bound, clipped, or microfilmed editions of the old papers. As a journalist, I once did this sort of thing all the time in what where called “morgues,” usually a musty back corner of the newsroom. It’s important to know the past, the back story, whether writing about today’s news developments or yesterday’s events. Digital searching quickly and seductively whisks you to what the Optical Character Recognition (OCR) software finds. But it may bypass misspellings; pages that are smudged and damaged; or relevant stories that don’t contain your search term(s). Obviously, being able to search a digital newspaper archive makes the task easier, but there is a danger that it makes researchers lazy in two respects: first, they may be inclined to disregard newspapers and periodicals that have not yet been digitized and so fail to take account of important strands of opinion; and secondly, they may be content simply to find what it is that they are looking for and so miss other items – shall we call them the “unknown unknowns” (quoting Donald Rumsfeld) – that may be equally or more important. I’ve been scrolling through microfilm of 1919 Chicago newspapers for a project I’ll unveil later this year. Seeing the surrounding headlines puts the Irish stories in wider context. And there are delightful distractions, such as following the game-by-game performance of Chicago baseball star Shoeless Joe Jackson in the months before that year’s controversial World Series. I have benefited from digital access to old newspapers since 2008, when I found the 1941 account of my Kerry-born grandfather’s death in Pittsburgh. It prompted me to write his biography. I am currently reading digitized 1919 editions of The Irish Press, Philadelphia; Kentucky Irish American, Louisville; and similar ethnic papers to explore U.S. reporting of Ireland’s revolutionary period. But I still love viewing original records inside archives and libraries. The undigitized material forces me to turn every goddamn page; every … faded … page. 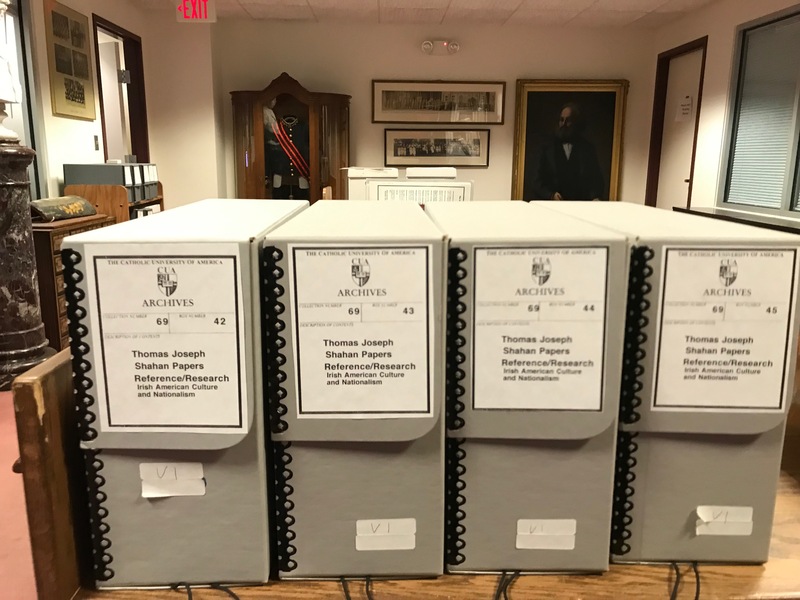 Irish-American files in the Thomas J. Shahan Papers at The American Catholic History Research Center and University Archives. 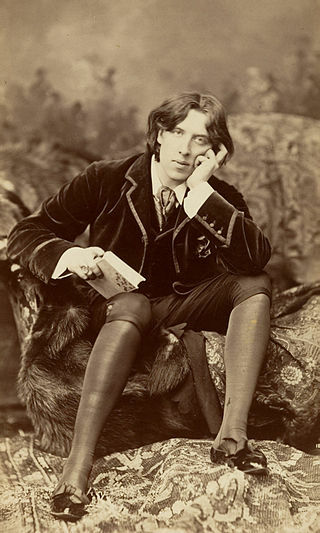 This entry was posted in Arts & Culture, History, Irish America, Journalism and tagged Felix Larkin, Newspaper and Periodical History Forum of Ireland, Oscar Wilde on February 12, 2019 by admin. Historian Felix M. Larkin specializes in the study of Irish newspapers, including editorial cartoons. He is an expert on the Freeman’s Journal, the prominent Dublin newspaper published from 1763 to 1924. His work is widely published in books and journals. See Larkin’s website for more details of his biography and bibliography. In 2008, Larkin helped found the Newspaper and Periodical History Forum of Ireland (NPHFI), a “very cumbersome name – which, however, does have the merit of accurately describing what the focus of our activities is,” he said in a 2013 address. The organization’s mission, as stated on its homepage, is to facilitate contact between researchers and writers in the field of newspaper, periodical, journalism and printing history, and strengthen the links between teaching and research institutions, libraries, and other organizations concerned with media history. You helped found the NPHFI in 2008. What are your surprises, insights, delights, or disappointments about its first decade? What would you like see happen with the Forum by 2028? LARKIN: I have been genuinely surprised by the success of the NPHFI, as newspaper history is really a niche subject. We have had 11 successful annual conferences, and have inspired six essay collections and at least two more that are in preparation. In addition, we have put together and maintain the immensely useful on-line Irish Bibliography of Press History, which is a great resource for scholars. The insight that I have gained from my experience with the NPHFI is the extent to which journalism history benefits from an inter-disciplinary approach – and I say this as someone who is trained as a historian and deeply respects the rigorous methodology of history. The delights are, of course, the very interesting people I have met through the NPHFI and the friendships that I have made. As regards 2028, my main hope is that I will still be around to enjoy the proceedings of the NPHFI conferences! My hope more generally for the future of the NPHFI is that it will remain faithful to its focus on the print media – newspapers and periodicals – as distinct from broadcasting and the electronic media which receive quite enough attention in other forums. Ironically, as newspapers decline in popularity and influence, it is all the more necessary to have a place specifically dedicated to the study of their history – lest they fall off our radar completely. Digital newspaper archives are more common today than in 2008, allowing more people to access the content. What tips or cautions would you offer about historical research of newspapers/periodicals? Any specific advice for those exploring Irish papers, especially regarding the run of War of Independence and Civil War centenaries over the next five years? 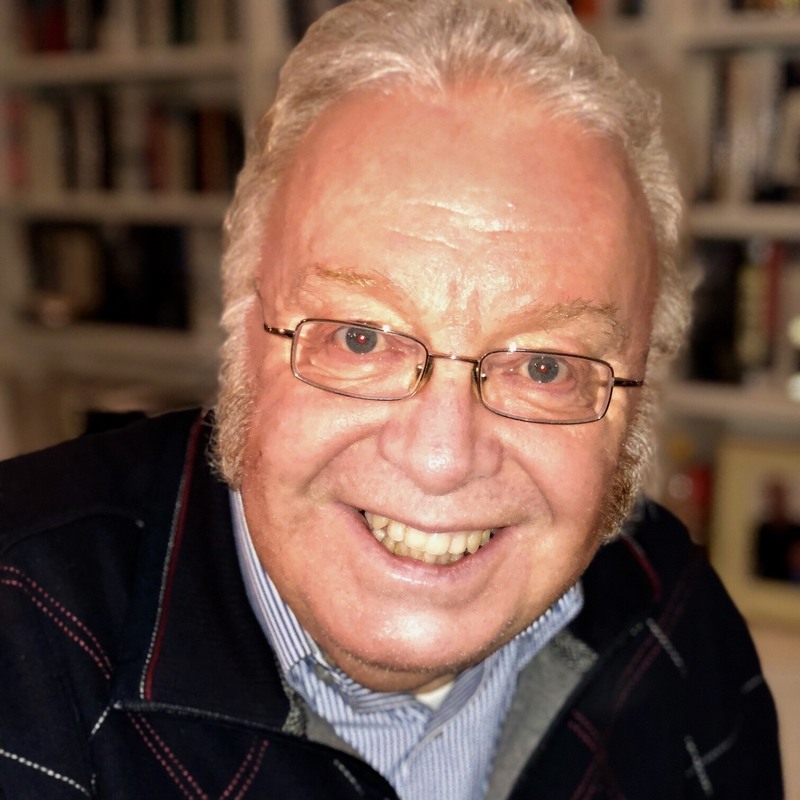 LARKIN: I have always believed that one of the reasons why so few people have worked on newspaper history is the sheer quantity of material to be waded through – whether you are using the print editions, microfilm or a digital archive. Obviously, being able to search a digital newspaper archive makes the task easier, but there is a danger that it makes researchers lazy in two respects: first, they may be inclined to disregard newspapers and periodicals that have not yet been digitized and so fail to take account of important strands of opinion; and secondly, they may be content simply to find what it is that they are looking for and so miss other items – shall we call them the “unknown unknowns” (quoting Donald Rumsfeld) – that may be equally or more important. Using a digital archive also means that you miss out on a sense of what the paper looked like – its size and general appearance – and this is important for context, especially for specialist newspaper historians. As regards newspapers in the period of the War of Independence and the Civil War, during such periods of great conflict there is a tendency for newspapers to become more partisan than in normal times – and there is a greater risk of censorship and intimidation – and so historians using newspapers as a source need to be even more conscious of bias in newspaper coverage than they would ordinarily be. Are there any periods of history, or types of stories, or kinds of research, that you think are under-explored in the realm of Irish newspapers and periodicals? LARKIN: Oh yes! There is relatively little work done on Irish newspapers before the 1840s. I accept that newspapers don’t reach the zenith of their power and influence until the second half of the 19th century, but there is a rich earlier history of the press to be explored – and we have not done that. For instance, only one early-period paper was offered in response to the Call for Papers for the most recent NPHFI annual conference – and we were very glad to have it. A century from now, will there be a Digital Content History Forum of Ireland? Your thoughts about the shrinking contemporary newspaper industry, and whether today’s digital content will even be available for future research, given the rapid evolution of technology? LARKIN: Well, I am a historian – not a fortune-teller. I find it difficult enough to deal with the past without worrying about the future. So I would be very reluctant to speculate about the future of newspapers as a print medium – or about what aspects of the media, print or otherwise, will interest historians in future years. What does concern me, however, is the declining quality of journalism in the print media – e.g. the jettisoning of sub-editing and other “checking” functions in the interests of cutting expenditure – which means that newspapers are an increasingly less reliable source for future historians, as well as for their current readers. We seem to have come a long way from the Woodward & Bernstein standard of “the best obtainable version of the truth”. As regards access to digital sources, I am old enough to remember accessing music on vinyl, then tape cassette, then CD and now via my computer – such rapid change, and nothing was compatible with the previous iteration of the technology. The same thing will inevitably happen with today’s digital portals. We can only hope that libraries will retain – and maintain in working order – obsolete equipment so that data can be recovered as technology progresses and made available in whatever new forms emerge. But I am not optimistic on that score. Other thoughts or comments about NFPHI … or the upcoming centenary period? LARKIN: There have been four chairpersons of the NPHFI to date, and each of us was a founding member. 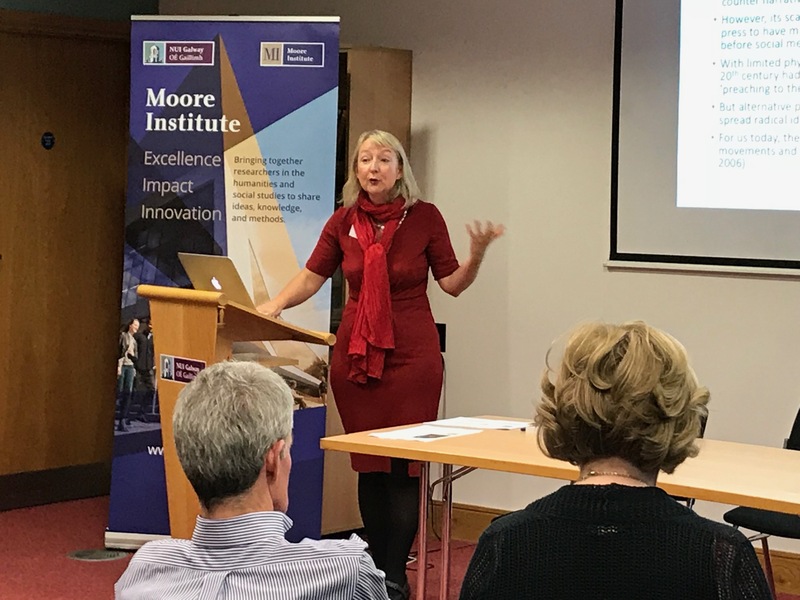 The term of office of our current chair, Regina Uí Chollatáin, ends next year – and we will have to find her successor from the ranks of those who have come on board in the years since our foundation. The baton is being passed to the next generation, and this will bring its challenges – but it is also healthy, an opportunity for renewal. We have a great crop of younger scholars who work with the NPHFI and I am satisfied that the NPHFI will be in good hands for many years to come. On the upcoming centenary period, suffice it to say that I am not much in favor of commemorating or celebrating historical events. It is more important to try to understand the past in all its complexity. That’s the responsibility of the historian, and historians should be very uneasy when faced with State-sponsored jamborees relating to supposedly iconic anniversaries. Such jamborees rarely add anything to the sum of human knowledge. This entry was posted in History, Irish War of Independence, Journalism and tagged Felix Larkin, Newspaper and Periodical History Forum of Ireland on November 18, 2018 by admin. GALWAY ~ The Irish Citizen, a Dublin-based feminist newspaper published from 1912 to 1920, not only covered women’s struggle to obtain the right to vote, but also produced ground-breaking reporting about sexual assault and other abuses, especially among domestic servants. The paper was 100 years ahead of the #MeToo Movement. Irish suffragettes faced a more complex struggle than their British sisters, Ryan said. When Irish women sought support from the Irish Parliamentary Party, then trying to secure Home Rule, the male politicians said wait until Ireland secured domestic political autonomy. Militant Irish republicans criticized the feminists for wanting any franchise at all with the London government. Women on both shores of the Irish Sea obtained limited voting rights in February 1918. In December 1918, Irish nationalist Constance Markeivicz, who was jailed for her role in an anti-conscription protest, became the first woman elected to the British House of Common. She refused to take the seat, instead joining the revolutionary parliament in Dublin and the ensuing Irish War of Independence. The Citizen, which survived the turmoil of the 1916 Easter Rising and the Great War on the continent, folded before the Irish conflict was resolved a few years later. But the paper left an invaluable feminist archive, Ryan said. For this year’s centennial, she has published an updated and revised edition of her 1996 book, Winning the Vote for Women: The Irish Citizen newspaper and the suffrage movement in Ireland, available from Four Courts Press. Listen to an April 2018 podcast on Dublin City FM’s Mediascope. The first day of the NPHFI Conference featured nine other excellent presentations about the role of newspapers in the 1918 British elections, corrupt elections practices in 20th century Ireland, the Catholic Standard newspaper’s anti-communism campaign in the 1950s, and other topics. Nine more presentations are scheduled for 10 November. This entry was posted in History, Journalism and tagged 1918 suffrage, Louise Ryan, Newspaper and Periodical History Forum of Ireland on November 9, 2018 by admin.